Islam 'important' to hostage Kassig Jump to media player US aid worker Peter Kassig, who was paraded by IS at the end of a video showing the murder of British hostage Alan Henning. went to Syria because he wanted to help people. 'Huge relief' as hostages freed Jump to media player Dozens of Turkish hostages seized by Islamic State (IS) in the northern Iraqi city of Mosul in June have been released and arrived back in Turkey. As the battle for Kobane intensifies, the fate of western hostages still held by the group calling itself Islamic State (IS) looks even more uncertain. US aid worker Peter Kassig, who was paraded by IS at the end of a video showing the murder of British hostage Alan Henning, went to Syria because he wanted to help people. He converted to Islam just after he was captured and now prefers to be called Abdul-Rahman Kassig. 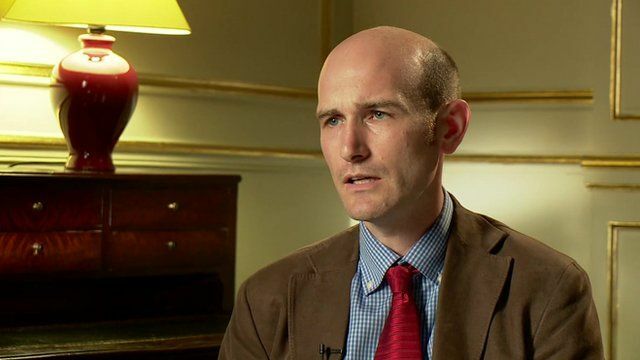 Former French hostage Nicholas Henin told the BBC's Paul Wood about Peter's conversion to Islam. "Peter told me Islam was important to him and how much it helped him overcome his situation in captivity."